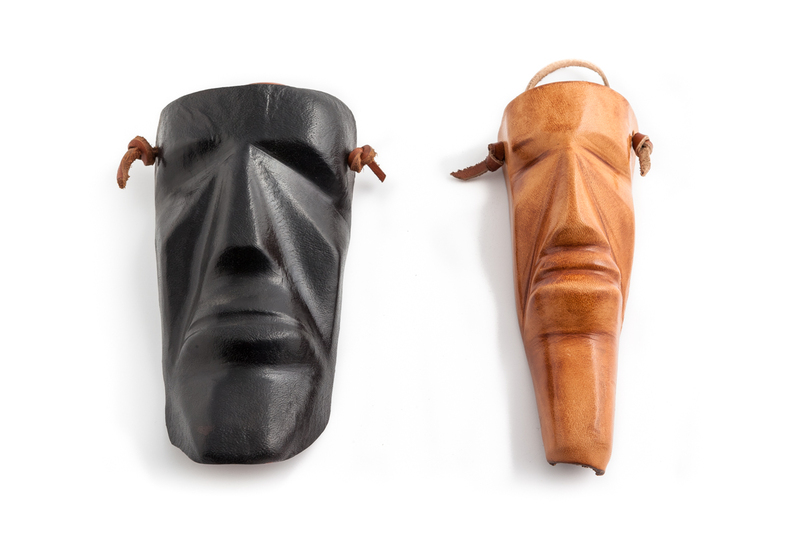 Hand-crafted leather mask, shaped through a special technique on a wooden mold. 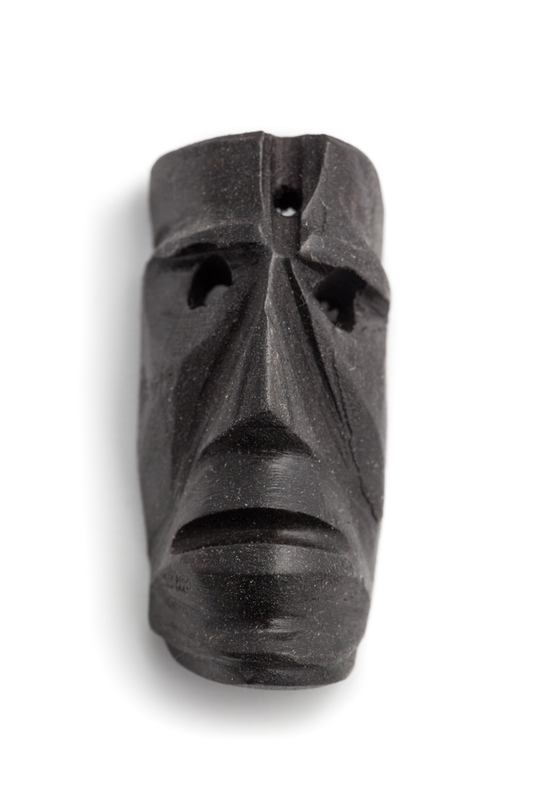 This object is inspired by traditional carnival masks and it is available in different versions and sizes. Small carved wooden mask inspired by the charming characters of the traditional carnival; it is available in different versions and sizes. 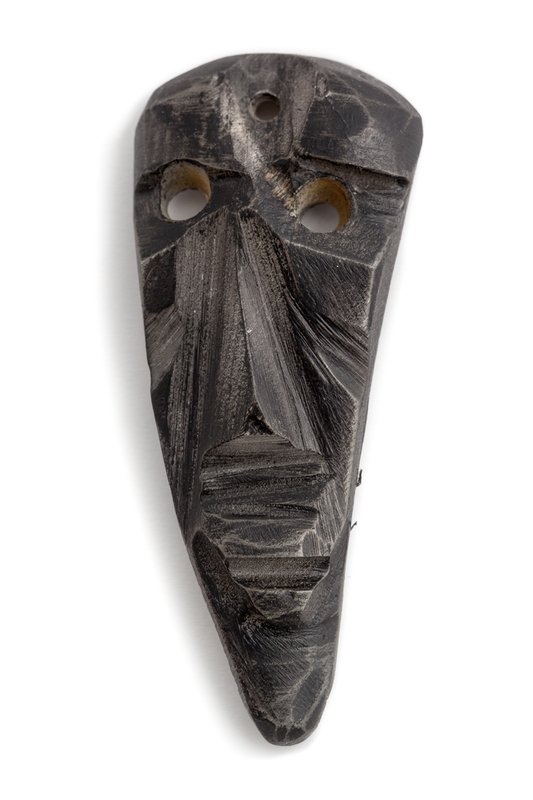 Small carved bone mask inspired by the typical masks of the traditional carnival; it is available in different versions and sizes. Since he was a child, Pier Mario Mureddu has been spending time at his uncle's cobbler's shop and, as a teenager, he began his apprenticeship. After learning the craft techniques of leather processing, he opened a workshop of his, starting his professional career. As he gained experience, he developed distinctive and personal skills making objects inspired by local tradition, carefully crafted, with great skill and passion, using precious natural materials, such as leather, bones and wood. Small traditional objects are crafted at his workshop: traditional belts for male attires, knapsacks, knife cases, small and large masks and, during the last few years Christmas cribs have also been crafted. Crafting techniques, ranging from intaglio to engraving, are performed entirely by hand with the aid of specific tools at his laboratory. For the processing of leather masks, the craftsman uses moulding procedures on dedicated wooden casts.